Published at December 18, 2006	in . 2 Comments Tags: No Tags. 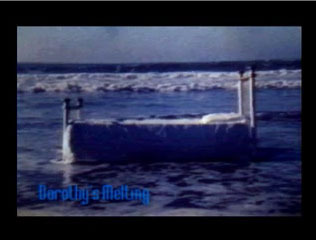 In July, 1996 I edited this music video for the local San Francisco Indie band, Dorothy’s Melting. Dorothy’s Melting became Plavu which disbanded in 2001. Alzara Getz performs with The Black Slipper Society and Underbrush. Wow – this is really awesome – the music and the video! Thanks! This video is featured in Vlog Gumbo 12.